My collection of vintage brooches is growing, more like overflowing. As you can see, the bust that I purchased from Goodwill is getting full. 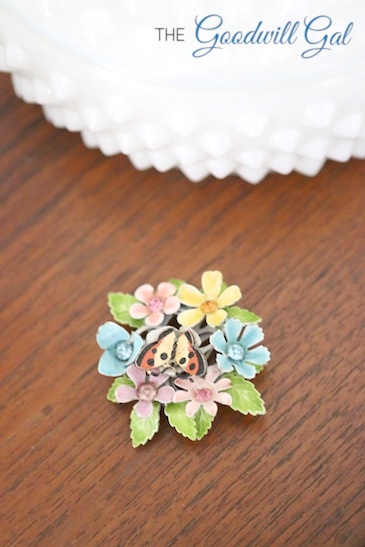 I love picking up the brooches when I travel. They’re lovely and easy to fit in a suitcase. 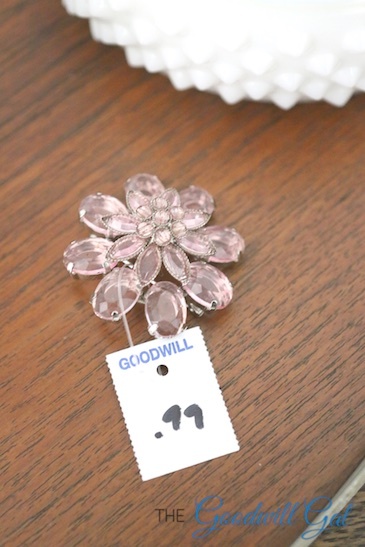 This pink beauty is from Goodwill of San Diego, Pacific Beach. 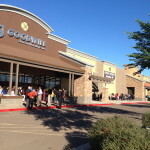 This little mini is from Goodwill of Central Arizona, Phoenix. I picked this one up in Peuwakee, Wisconsin. Here is another pin from Wisconsin. Little mementos from my travels. 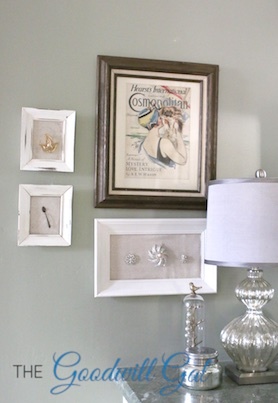 I created this display, with frames from Goodwill, exclusively for my pins. I can now enjoy their beauty from the vanity in my bathroom. 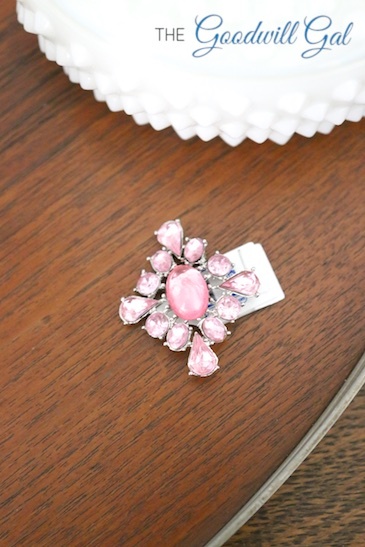 Are you a brooch collector? come on, show off your collection! Do you ever wear them, or just collect them? Hi Pam, Hope you’re doing well in MN! I wear these pins quite a bit, especially in the winter. 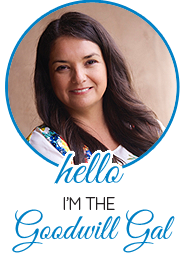 I wear them solo or group similar pins and fasten them to the pocket on my denim jacket. I love them! Do you collect? 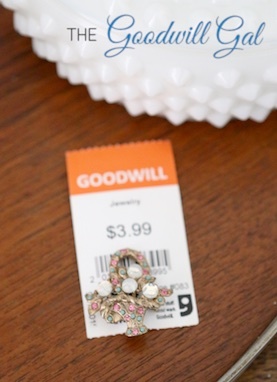 I too love vintage jewelry (especially broaches), and have amassed quite a collection thanks to thrift-store shopping. Mine have been hiding away in a jewelry box, so thank you for your creative display suggestions. Great ideas! 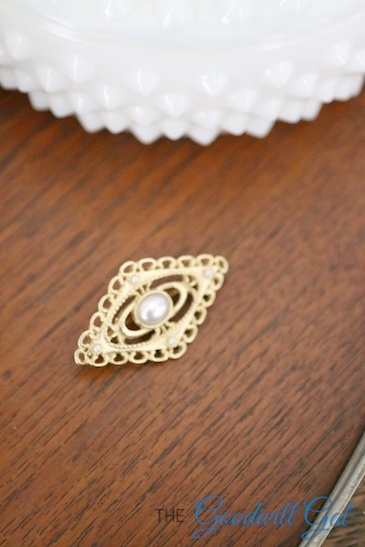 Brooches are really making a comeback this year! There are so many cute ways to incorporate them into one’s wardrobe. 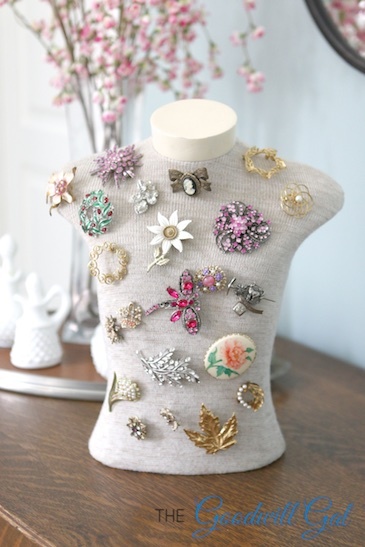 I love the mannequin filled covered with brooches, so cute-great photo! I just wanted to bring to your attention the spelling of the word, so that others can find it too while searching. I’m not sure you could change the video, but at least the post itself. Jaleen, Thanks for pointing out the spelling! Omg, I can’t believe I did that, I’m glad you sent me the note, thanks!